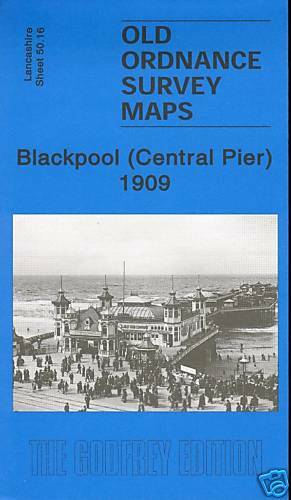 This detailed map covers the area of Blackpool around the Central Pier and "Golden Mile". Features include most of Central station and the railway approaches, including engine depot; Bloomfield Road football ground, gasworks, tram depot, Central Drive, promenade south to Shaw Road, Revoe, Central Pier. On the reverse are street directories for Alexandra Road, Central Drive, Promenade (South) in 1934. The map links up with Sheets 50.12 Blackpool (North Pier) to the north, 58.04 Blackpool South to the south.